Get a 10% off coupon RIGHT NOW - Just sign up for our email sale alerts and never miss a deal! WooHoo! You subscribed successfully. Check your inbox/spam/junk for the verification link which you have to click. Make sure to whitelist us so you do not miss your coupons and deal alerts. A must for all screen printers - 300 feet (100 yards) per ROLL. Compare that with the expensive 100 ft rolls on Amazon and you will see we have the lowest price! 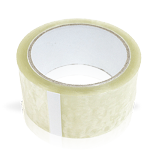 Pallet tape is used to protect printing platens (some call them pallets). Regardless of what you call it, you need to protect your equipment from adhesives and ink. 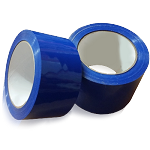 Pallet tape is used to protect printing pallets from ink and spray adhesive. Cleanup is a breeze jusy remove the pallet tape - it removes easily and leaves no residue on the pallet. 6690 Jones Mill Court Bldgs. Copyright American Niagara. All Rights Reserved.